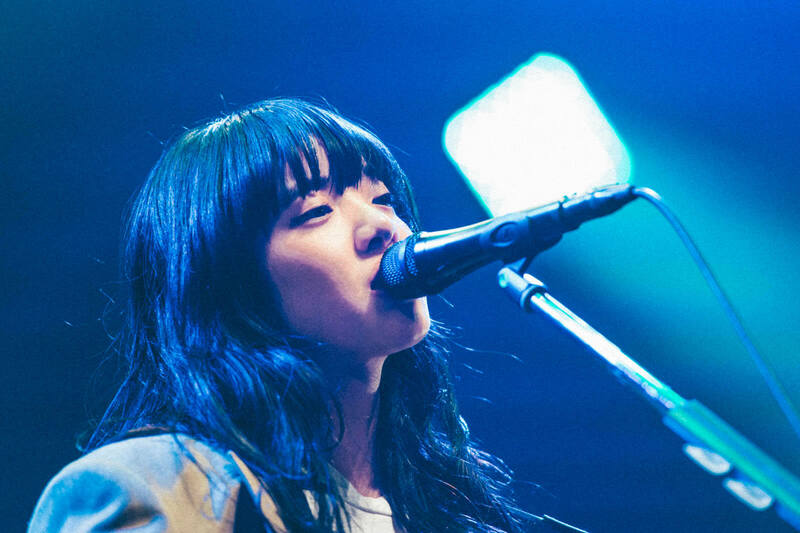 Singer-songwriter Aimyon, who just released her latest album Shukanteki Sixth Sense on February 13, held her solo concert “AIMYON BUDOKAN -1995” at the Nippon Budokan on Monday. 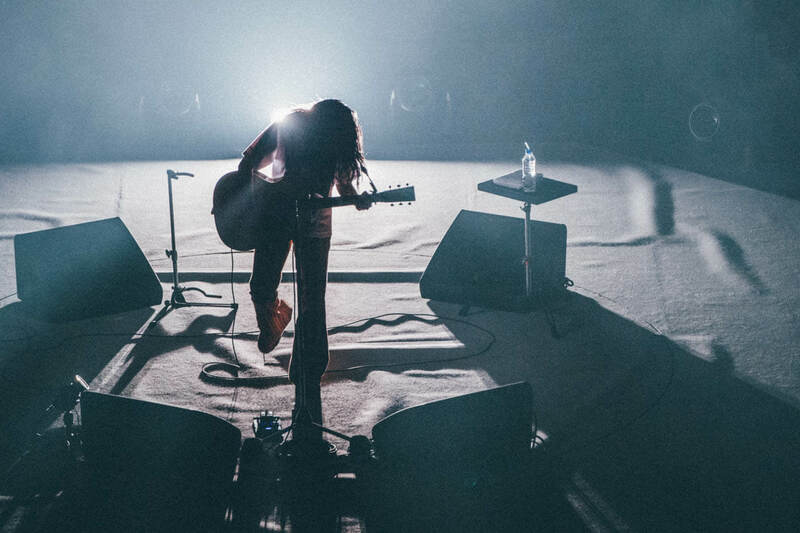 Her first ever show at the enormous venue, Aimyon changed up the Budokan game by performing an intimate acoustic set of 18 tracks to a packed-out room of fans surrounding her 360°. 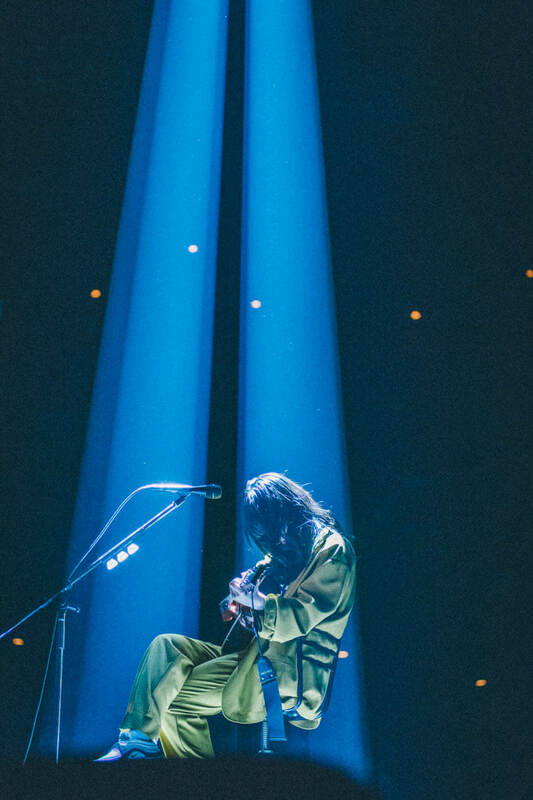 Playing an acoustic concert at the Budokan was something the Nishinomiya-bred 23-year-old had long desired. A simple spotlight beamed down onto the centre stage onto which Aimyon stepped donning a bright yellow outfit. She opened her set with her hit single Marigold, the music video in which the colour yellow is prominent throughout. “This 360° spectacle is something you don’t see everyday,” she said looking around at the towering crowd. She continued with her famous hit Ai wo Tsutaetai da toka followed by Wakattenai. 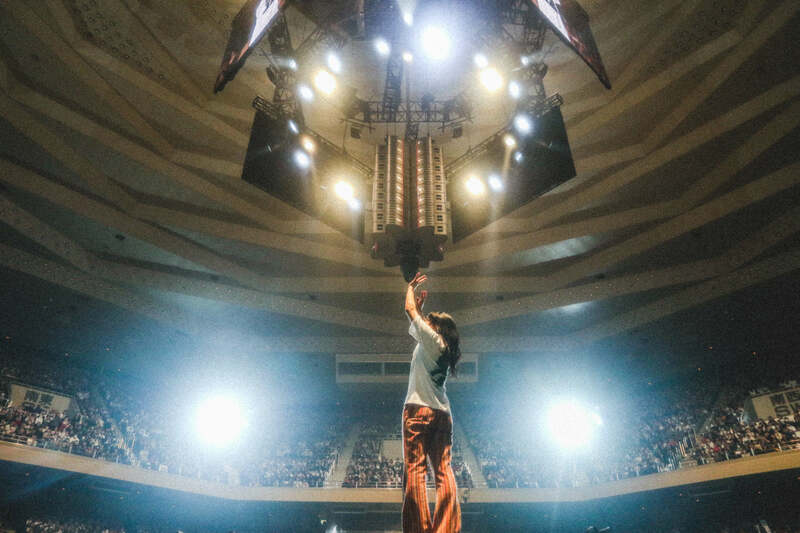 “I don’t really do this, but could I get a round of applause for trying something for the first time at my first Budokan concert?” Fans gave her well-deserved claps after which Aimyon went on to gracefully sing Mangetsu no Yoru Nara at the top of her voice. Despite the venue being packed with 14,000 people, there was a real warm and at-home atmosphere just as Aimyon had comment during the show: “Don’t you feel unexpectedly close?” This vibe is very typical of Aimyon. She too was having fun as the stage rotated, giving her viewing access to all four sections of the venue. “I’m embarrassed,” she said with a pure smile. Rising from her chair, Aimyon continued to weave intimacy into the air with Kaze no Sasayaki and Koi o Shitara. It was almost as if the crowd were being beckoned into Aimyon’s bedroom. The name of the song is Haru no Hi and Aimyon sang it magnificently. She continued with Anata Kaibō Junkoiuta ~Shi ne~. She made an error during the song and had to repeat the part again. The crowd supported her as a domino round of applause snowballed through the arena. Aimyon too strummed her guitar with energy. A 20-minute interval ensued after which Aimyon appeared once more with a different t-shirt on. The second half of the set began with Agorete Kitan da. 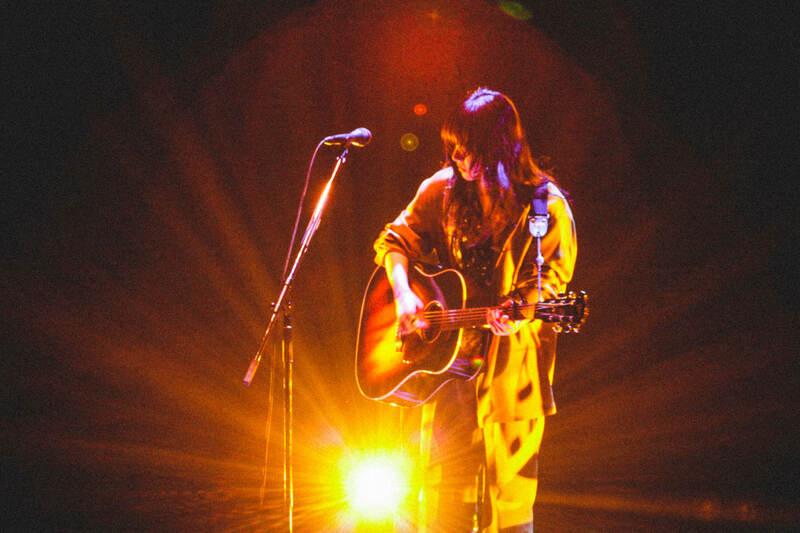 When she sang the words “Konya kono mama” bubble-like lights shone onto the stage creating a magical scene. Next was the country number Futari no Sekai and subsequently Douse Shinu Nara which she began with a capella. Moving through the set list track by track Aimyon continued with GOOD NIGHT BABY while looking out over the spacious room. 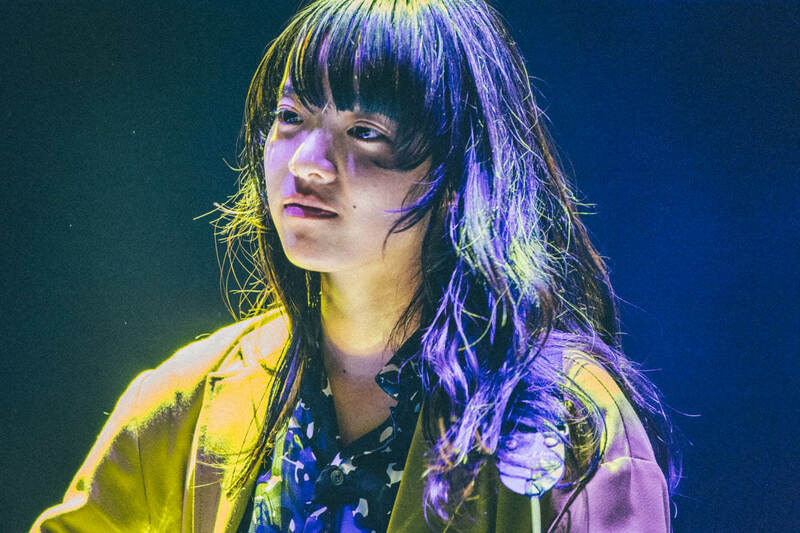 For Itsumademo she made a comment than ties in with the song’s lyrics: “Gogh was valued highly after he died but I want to that for me while I’m still alive.” This evoked huge cheers from the crowd. The lyrics appeared on the monitors for Ikiteitan da yo ne during which the performance shifted to a dramatic tone as red lights beamed, resulting in a theatrical atmosphere. 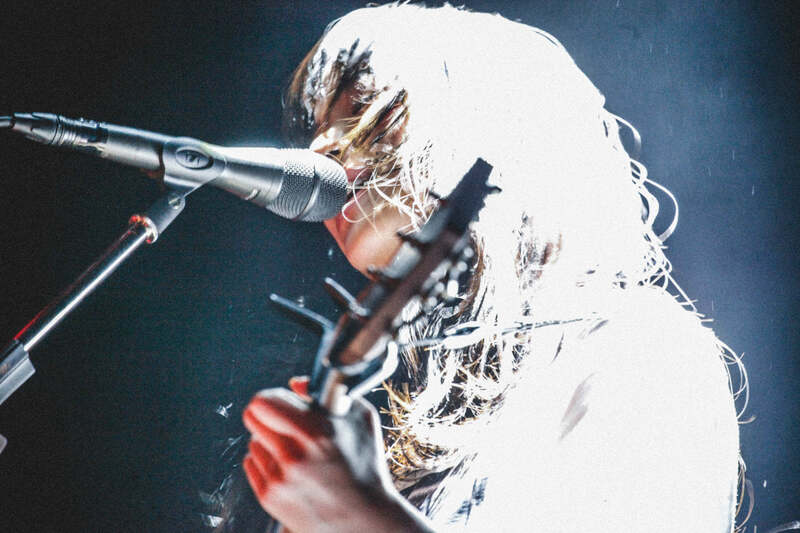 As Aimyon explained the origin of her tour title she performed her new song 1995. 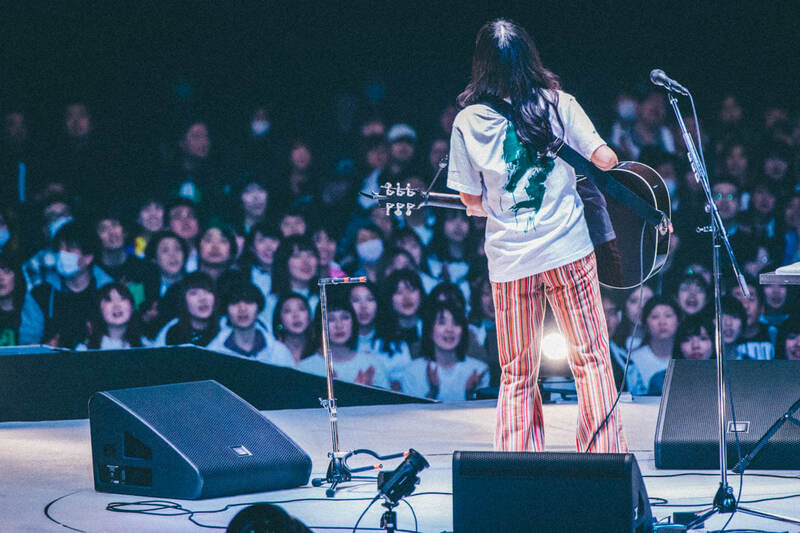 “I made this [song] specially for today.” Fans joined in with singing the “lalalas” of the chorus before Aimyon wrapped up with the final song of the night, Kimi wa Rock o Kikanai, which brought the crowd together as one. 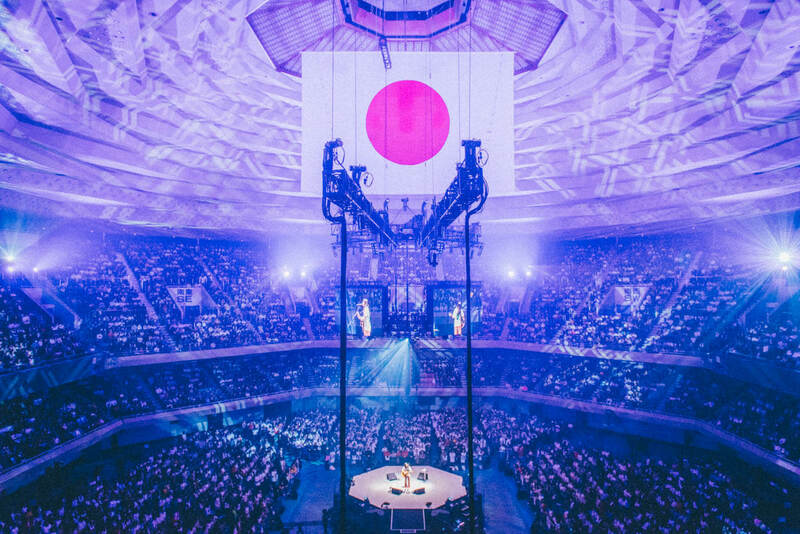 “Thank you for giving me the best seat in the house today!” she said, bringing her first-ever Budokan concert to its conclusion. Aimyon will head on two more tours this year. AIMYON TOUR 2019 “Love Call” will begin in May where she will be joined by a supporting artist followed by her biggest ever solo arena tour dubbed AIMYON TOUR 2019 -SIXTH SENSE STORY- starting in October. 2019 is looking to be a huge year for Aimyon.